There are currently 3,690 users on this website. 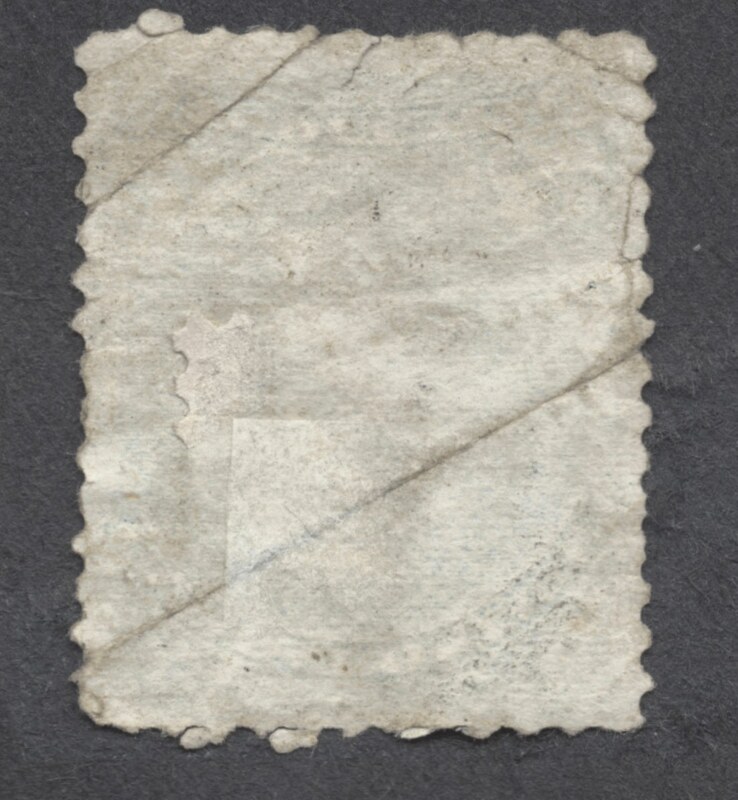 Prior repairs are making it difficult for me to identify this stamps paper type.Any help would be appreciated! I believe there is a faint Registered cancel. 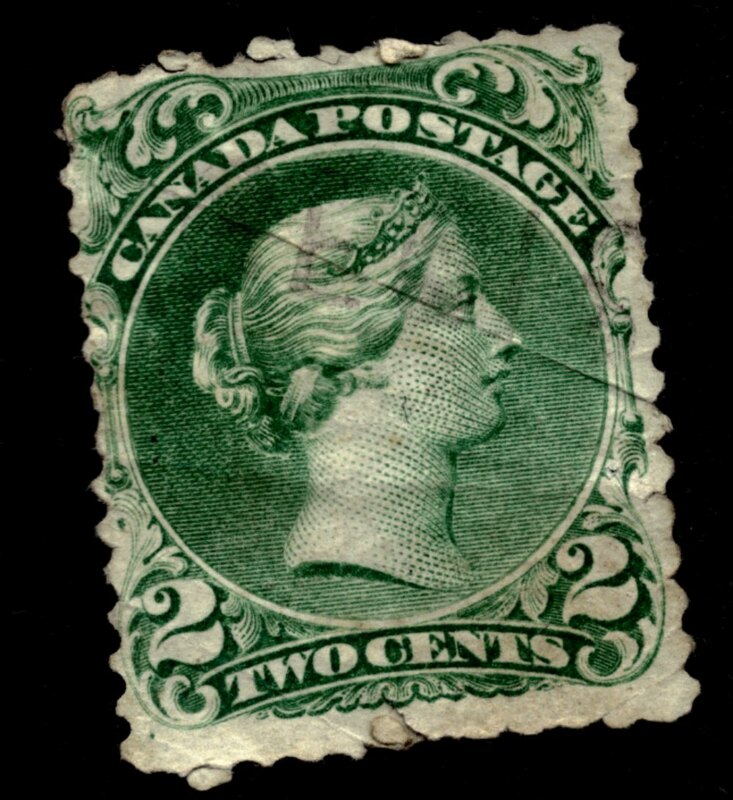 Whatever your damaged stamp is, it is certainly NOT on laid paper, but on horizontal wove i.e. it has a horizontal linen-binding as a wire/sieve structure. Note how alignment of dimples on surface gives an unintended diagonal pattern. OP: you're welcome, help apparently was not appreciated... and I won't bother replying in the future. I for one, appreciate reading your knowledge. Your responses are very much appreciated. Sorry for the delayed response. I rarely have a a lot of free time as I have 2.5 year old twin boys( for which I'm making an album for them from a collection of inherited stamps. So again sorry for the delay. I do appreciate the knowledge sharing. Very much so. Time to pull the plug on that stamp - send it to hospice care so it can live out its remaining days thoroughly medicated and feeling no pain. Send me your address (either through the board or through my web page (cgpostal.com) and I'll send you a replacement copy. I have a bunch left from a large lot I picked up to get a few specific ones that also deserve to go to new homes. Thx, will do. 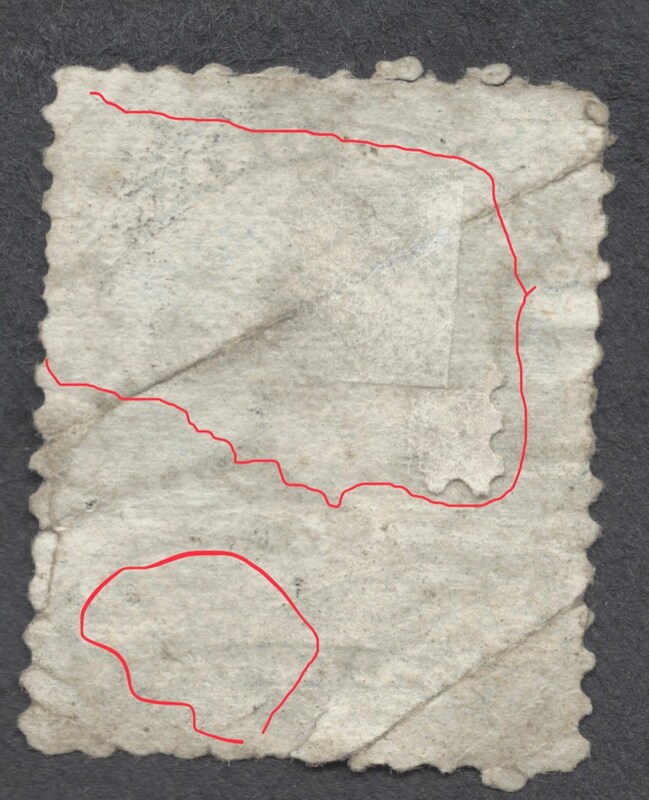 I really was so confused about what was up with that stamp! Doubtless I should have exercised more patience, enjoy the LQ's, it is gratifying to see a generous spirit of giving here too. In very old collections it is common to see selvedge used as a hinge, you have this here as well as an old paper hinge. Condition was not important, as evidenced by that woofer. Thank you again for your help. I have one other stamp that had a similar backing so now I know what it is!